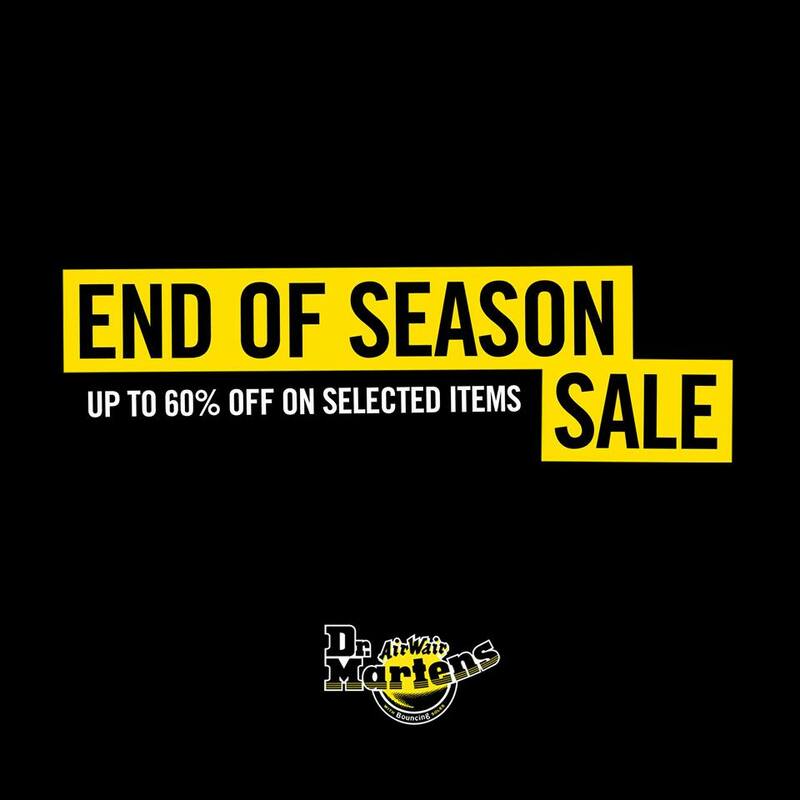 Home Promo Dr. Martens End of Season Sale: Up to 60% off! Enjoy discounts up to 60% off of selected items at Dr. Martens Two Parkade, DM Trinoma, DM SM Mall of Asia, DM Glorietta, DM SM Megamall, DM The Block and DM SM Cebu Pop Up Store! End of Season Sale is on June 30 – July 9, 2017 only so hurry! Previous articleThe Off Price Show: Technomarine, Uropa, PUMA, H&M, Hang Ten, Daniel Wellington, etc! Next articleCole Haan Mid Year Sale: Up to 50% off!